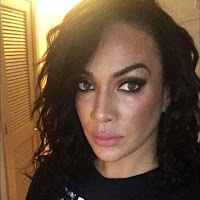 This Fallout video from this week's WWE RAW features Nia Jax talking to Mike Rome after earning a spot in the RAW Women's Title match at WrestleMania 33. RAW Women's Champion Bayley will now defend against Nia, Charlotte Flair and Sasha Banks in a Fatal 4 Way. Nia says she feels amazing after dominating Bayley on RAW. She says no one has ever seen a woman like her in the division and now she gets to go to WrestleMania and show the world why she's not like most.